Being a customer focused organization, we are engaged in offering a wide assortment of Packaging Machinery. 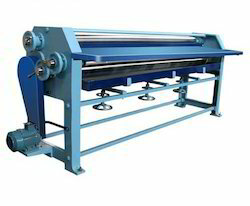 Our range comprises Eccentric Slotting Machine, 4 Bar Rotary Cutting & Creasing Machine, Corrugating Machine, Sheet Pressing Machine, Sheet Pasting Machine and many more. All these products offered by us are manufactured following the international quality standard and norms at our capacious infrastructure with the help of our professionals. 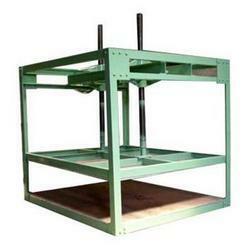 Our products are also available as per the customers requirements and specifications. We are offering an exclusive range of Two Color Flexo Printing Machine for corrugated boxes. The offered range of products is available in two types such as single color flexo printing machine and two color flexo printing machine. These products are developed at our infrastructure using cutting-edge technology and premium quality raw material for the better development of offered range. 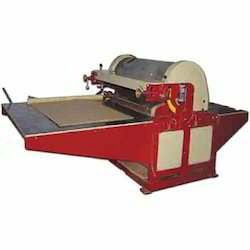 Size 52" x 72" 52" x 82" 60" x 90"
Suitable for gluing the fluted side of the liner/Board for making 3,5,7,9 & 11 ply. 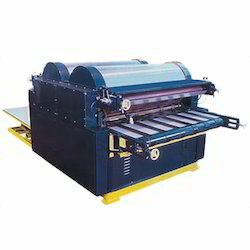 The machine is fitted with feeding table, delivery stick, paste,holding tray. 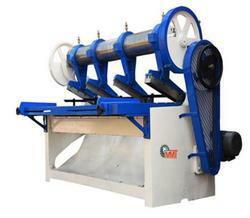 Aiming at maximum level of patron-satisfaction, we are offering Eccentric Slotting Machine. 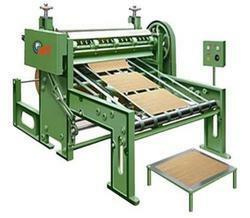 We fabricated this machine making use of top-grade raw material which is collected from the well-established vendors. 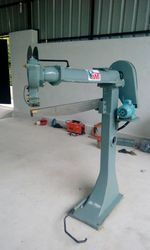 It is highly suitable for the corner cutting and slotting of corrugated boards with perfection. To ensure its flawlessness, our quality auditors checked this machine on different parameters. As per the clients' requirements, we are offering it with 1 corner cutting die and 3 slotting dies. 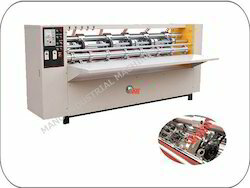 We are engaged in manufacturing, supplying and exporting Box Stitching Machine which is installed various industries for pinning of corrugated boards and stitching of cardboards. It is highly reliable for a longer service life and acclaimed by the clients for its quality as per the international standards. We used high-grade raw material in order to manufacture this product in our advanced manufacturing facility. Our product is tested on different quality parameters with the help of our diligent professionals.